Red Hook residents Jackson Fiero and Bjorn Bowser appear on Emeril’s table airing October 25th at 11am ET/PT on the Hallmark Channel. 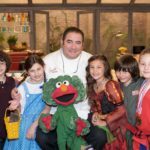 Special guest Elmo and some very adorable trick or treaters join Emeril to make some boo-tiful treats! First up, Emeril’s Grilled Cheese Sand-witch, Spooky Boo Cupcakes and Black Cat cookies with a bittersweet ganache. Red Hook High secured a spot in the girls soccer championship game as the Raiders blanked Marlboro 4-0 in Monday’s semifinals. Romanian writer and Bard College professor Norman Manea has been honored with the 2011 Nelly-Sachs-Prize of the City of Dortmund, a prestigious German literary award. A return to form by Red Hook High resulted in a 49-6 rout of Rondout Valley in Saturday’s Section 9, Class B football game. Red Hook High’s volleyball team improved its record to 13-1 with a 25-6, 25-5. 25-18 sweep of Highland Friday. 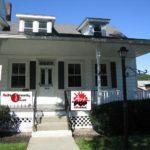 Red Hook Community Arts Network (RHCAN) celebrates the beauty of the Hudson Valley and pays homage to farmers and farming through the arts in their new show, “AgriCULTURE” from October 13 through November 27. The exhibit will be the first in CAN’s new ArtPOP Gallery in Red Hook, which is now located at 7505 North Broadway. The Opening Reception will be held on October 22 from 5-7 pm.